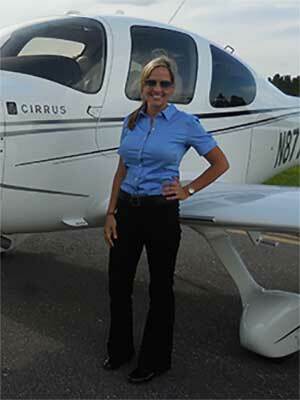 Laura Taylor has been a Certified Flight Instructor (CFI, CFII, MEI) in airplanes since 2006. She comes from a family of pilots and grew up around aviation, which fueled her passion. Laura and her husband, Zack, opened up the flight school in March of 2012 and have truly enjoyed growing the company to where it stands today and introducing hundreds of new people to aviation. Laura has completed the Cirrus Factory training to become a Cirrus Instructor (CSIP) and enjoys transitioning people in our SR22 or SR20, or their own aircraft. In addition to flight instructing, Laura also enjoys flying as a contract pilot in a King Air 350, Challenger 604/605, and Citations. When not flying, Laura enjoys spending time with her husband and two sons and being on the water. 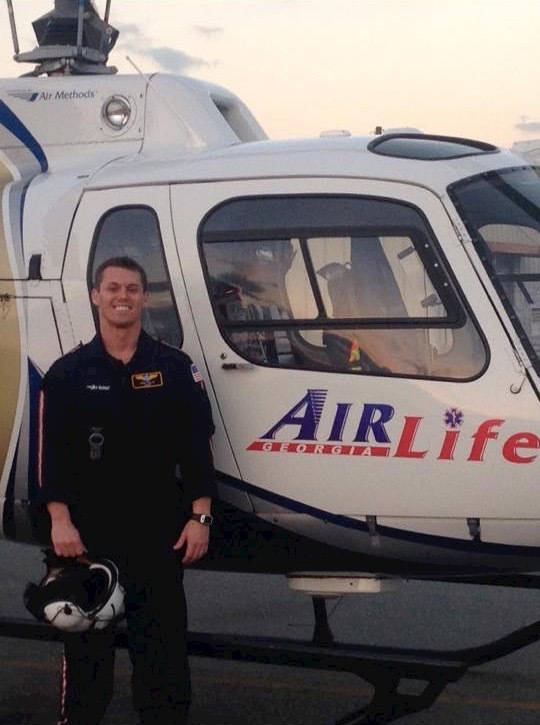 Zack currently oversees Tampa Bay Aviation’s part 61 and part 141 helicopter flight school as chief helicopter instructor and is also Tampa Bay Aviation’s helicopter charter chief pilot as well as director of operations. His previous experience includes flying Eurocopters for AirLife in Florida and Georgia as well as Bell Helicopters in the Gulf of Mexico to the oil platforms. 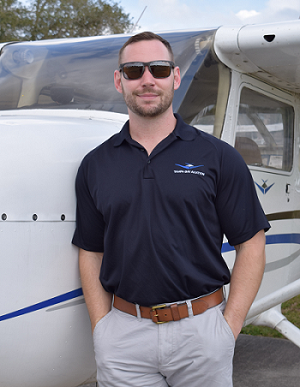 Zack’s extensive experience and knowledge with helicopters drives Tampa Bay Aviation’s helicopter flight school to exceed expectations and continue to grow into a prestigious establishment also including helicopter tours and now helicopter charters. Born in Dunedin, FL, Daniel attended University of South Florida achieving a B.A. in International Relations. He started flying at the age of 14 and his first interaction with planes was actually here at the Clearwater Airpark washing airplanes, using the money he earned to pay for flying lessons. He obtained his private pilot license at the age of 17. 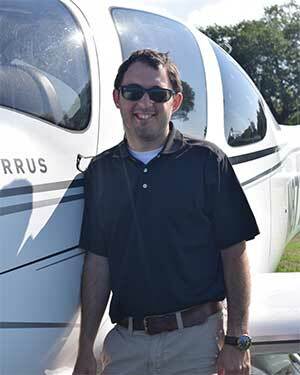 He took a sabbatical from flying for a while but returned in the summer of 2016 and achieved his goals to obtain his Instrument, Commercial, CFI and CFII certifications. His favorite aircraft is the Cirrus. Just recently he flew his furthest flight yet to Texas volunteering his flight time flying relief supplies for Hurricane Harvey. He enjoys flying and instructing future pilots to reach their goals in the aviation world. Jake is a third generation aviator from Virginia destined to be a pilot. Not only is his father a career pilot with United Airlines but both his grandfathers are pilots as well. Jake graduated with a degree in Criminology from Ohio University and looks forward to following in his father and grandfathers’ footsteps. Jake enjoys flight instructing, flying and their challenges. Kevin, who is from Allentown, PA, began learning to fly when he was just 17. His interest in becoming a pilot was ignited by watching his older brother who was taking lessons. 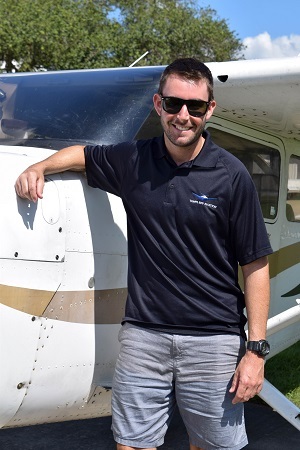 After obtaining his flight instructor license, Kevin’s first flying job was a challenging one working for the U.S. Navy in Maryland as a civilian contractor teaching sailors to fly and achieve their first solo in just 10 lessons. Kevin re-located to sunny Florida with its year-round great flying weather so he can log more hours and eventually move on to the airlines. Mike was born in Dunedin, Florida where he played hockey for 20 years, and then attended the University of South Florida for college. Mike came to Tampa Bay Aviation to get his private pilot license before going to ATP to complete the rest of his ratings. His parents have worked for an airline for his whole life, so Mike one day hopes to work for the airlines as well! Adam was born and raised in Clearwater, Florida before attending Embry-Riddle Aeronautical University where he received a Bachelor’s degree. Although Adam plans to achieve the necessary hours to fly for the airlines he enjoys flight instructing. Flight instructing allows his own skills to improve while getting to enjoy introducing new enthusiastic students to the world of aviation. Adam has availability for instructing seven days a week from as early as 8 am to as late as 6 pm. Since Eddie was 7 years-old he has dreamed of flying! For Eddie, there is something about being in the sky with the birds that is absolutely freeing and provides a different perspective on the world. Raised by a single mother, and the youngest of three children, Eddie found his purpose in aviation. Eddie believes life has a way of showing you when and where you’re supposed to be….all you have to do is listen. In June of 2017 he completed his first solo flight and it changed his life. After nearly 14 successful years in the corporate world and two degrees, he began to pursue his true passion. Eddie started his pilot-training right here with Tampa Bay Aviation and finished it elsewhere. 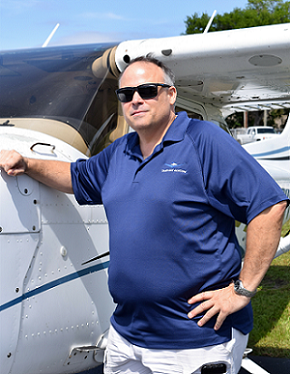 After finishing his ratings and longing for a return to the family style environment, he returned to Tampa Bay Aviation to give back what was given to him and to aid anyone in pursuit of their dreams of flight. One of Eddie’s favorite parts of instructing is the “AH HA” moment when the light bulb turns on….the moment when someone finally understands what they are doing, how it’s supposed to be done and why they’re doing it. Eddie thrives off of those small victories and uses them as fuel to propel himself and his students towards their dreams and desires. Eric is a native of Vermont but has instructed in both Vermont and Colorado before relocating to Tampa. While in Colorado, Eric also worked with Jeppesen in the development and dissemination of instrument approach, departure and arrival procedures. He began flying in 2009 when he attended Embry-Riddle Aeronautical University in Daytona. Eric hopes to provide the best instruction to his students, constantly improving as a professional and helping others develop along the way. While at some point he plans to transition to the airlines it is his goal to leave behind a positive impact on the flight training environment. Eric is truly a modern day renaissance man when it comes to aviation. Eric is not only a Certified Airplane Instructor he also holds a commercial helicopter license, is an Airframe and Powerplant mechanic, a Designated Mechanic Examiner and has 22.3 hours in hot air balloons! Eric began his career in aviation with a degree in Aviation Maintenance from Spartan School of Aeronautics in Tulsa, Oklahoma. He has received numerous awards in the mechanic realm and has worked at varies interesting locales including two years at Mauna Loa Helicopters in Kailua Kona, Hawaii. 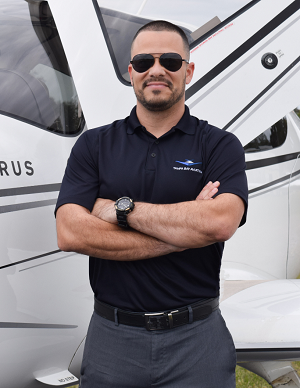 Eric’s goal now is to spend more time flying and providing the same level of award-winning instruction to Tampa Bay Aviation’s students as he has in maintenance to his employers in the past. Dan is a native of Tampa and a graduate of Florida State University (BS in Biology) and University of South Florida (Masters in Medical Science). Dan walked away from a dental career, after already obtaining two degrees in pursuit of it (wow! ), because he finally recognized that aviation was his true love. 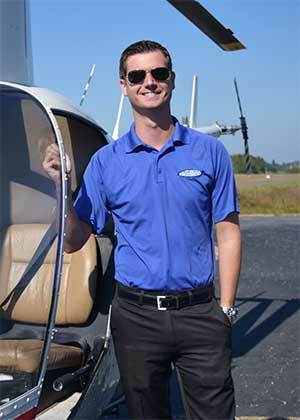 He started his pilot training here at Tampa Bay Aviation and feels there is no better place to instruct. Dan feels flying is fun, exciting and makes the world accessible in a way nothing else can, not to mention you cannot beat the people involved in aviation. Dan’s dream job is flying a Boeing 777 internationally for Fedex. No doubt he will make it, but in the meantime, he enjoys providing the highest quality flight training to our students just like he received when he was a student here. Dennis Berghuijs, originally from The Netherlands, moved to Florida in 2013 to pursue a career in the aviation industry. 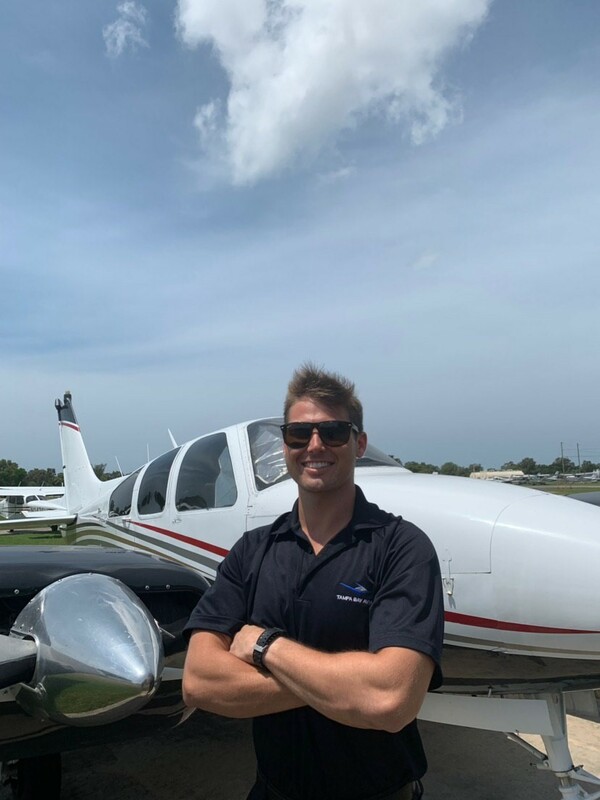 After successfully completing the FAA and EASA pilot programs, he became an active Certified Flight Instructor in 2014 and joined Tampa Bay Aviation in 2016. In addition to instruction, Dennis does Tour, Photography and Charter flights. Katie was born and raised here in Florida and because her father is an airline pilot she has been around aviation her entire life. She attended USF St. Pete. 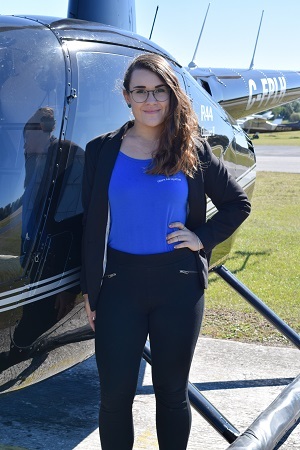 She has obtained her Private Pilot’s license and recently obtained her instrument Rating at the Clearwater Airpark! Born in Venezuela under British nationality, Stella grew up traveling around the world due to her parent’s work as international journalists. With over 20 years in the hotel, tour and travel & tourism industry and being trilingual, she brings guest service and tour knowledge to our team here at Tampa Bay Aviation. In her new role as Marketing Manager, she is eager to create and share new programs and be able to promote all TBA has to offer to our students, tour-goers, visitors and charter guests. Raeven has lived in Florida her whole life. She currently attends USF St. Pete where she is majoring in marketing. Raeven uses her marketing skills to help run our social media as well as take tons of photos for the company. Although not a pilot herself, Raeven loves getting up in the helicopter whenever possible! 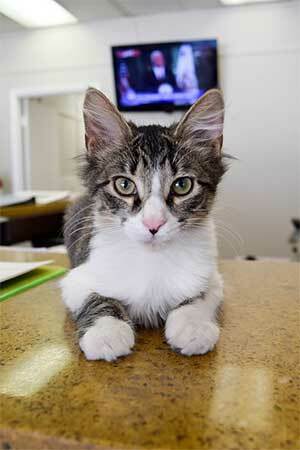 Spends her days at our PIE location, greeting customers and taking naps on every possible surface. 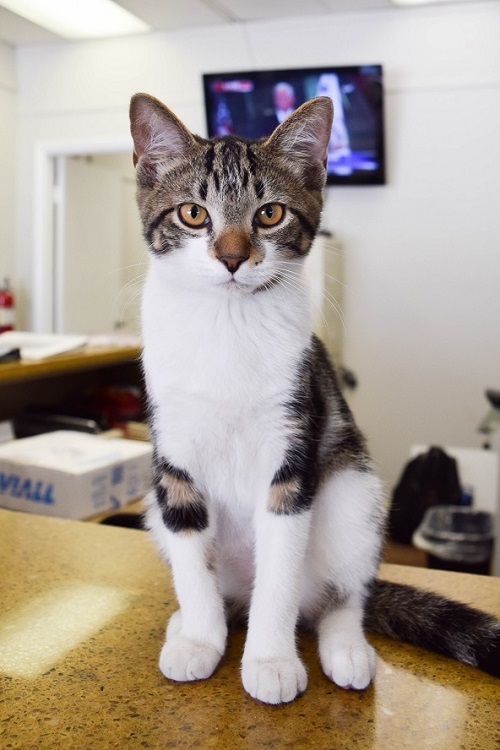 Spends her days at our PIE location greeting customers. Looking to start flight training soon.